Cruising with kids – everything you need to know. 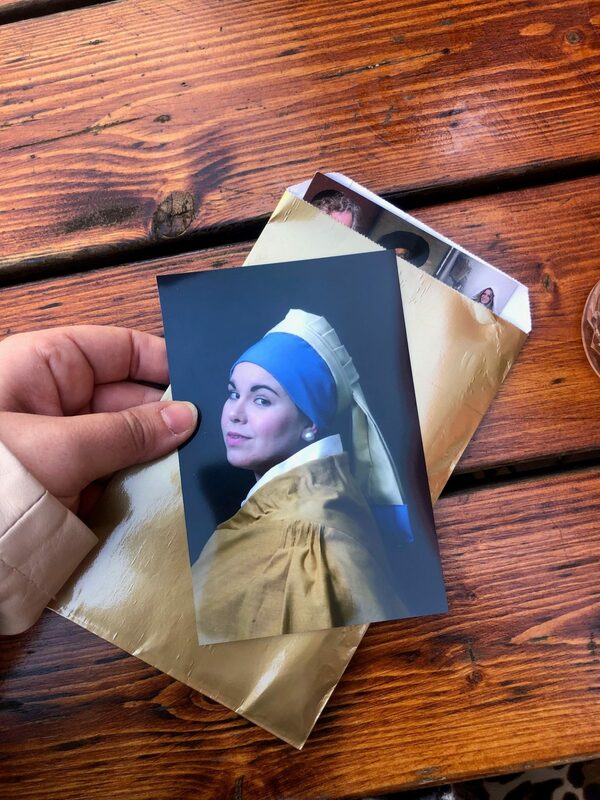 If you follow me over on Instagram you will know that I have just come home from a Cruise to Amsterdam with P&O Cruises. 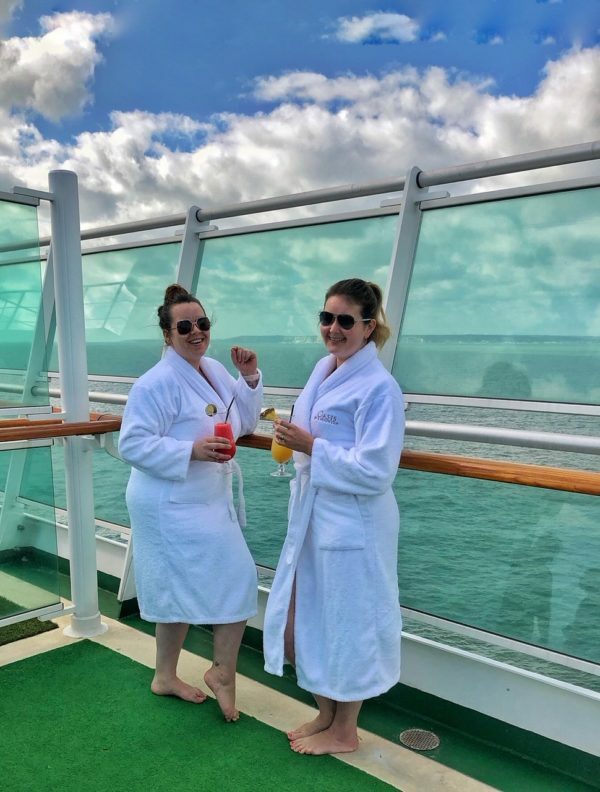 I went with my friend Michelle with the intention of reviewing the family friendly facilities on board and sharing them with everyone, after all, I’ve long said that cruising is the *ultimate* holiday. You wake up every morning (near enough) in a new place, and the facilities on board are so vast you just can’t possibly get bored! A cruise is one of those holidays that can be totally tailored to you – want to do excursions? There will be so many in different options in every port and if you simply didn’t fancy any, you could have a mooch around the city or place that you have docked in. When it comes to being on board there are multiple restaurants, bars, cinemas, theatres and shopping experiences – something for everyone. I have done a couple of Caribbean cruises when I was younger but never as a parent, and despite really wanting to cruise with the kids, I have one problem: Adam. He’s just not convinced at all, not sure there was be anything for them or that they would be safe, so for me this wasn’t just about reviewing P&O Cruises for you guys but also being able to go back to him with a wealth of information! 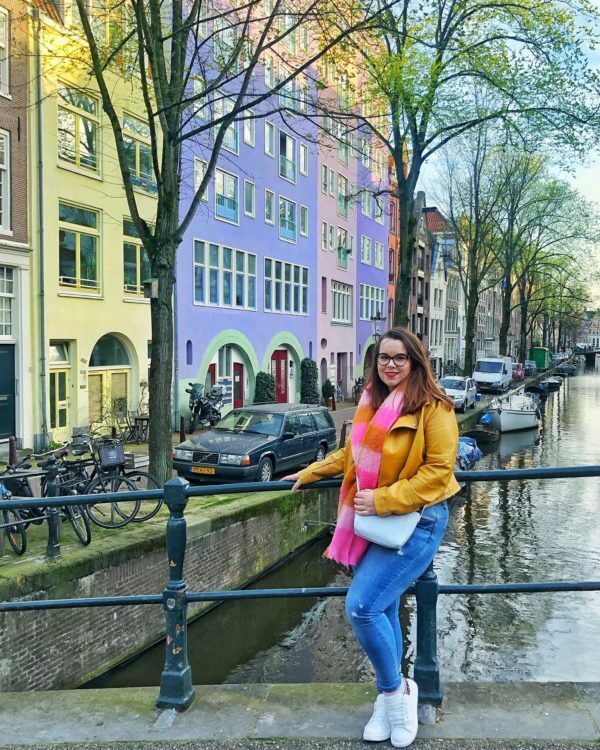 We cruised to Amsterdam, and whilst I absolutely LOVED this trip, I felt like this particular route was a bit better suited to couples or as a girl’s weekend away. 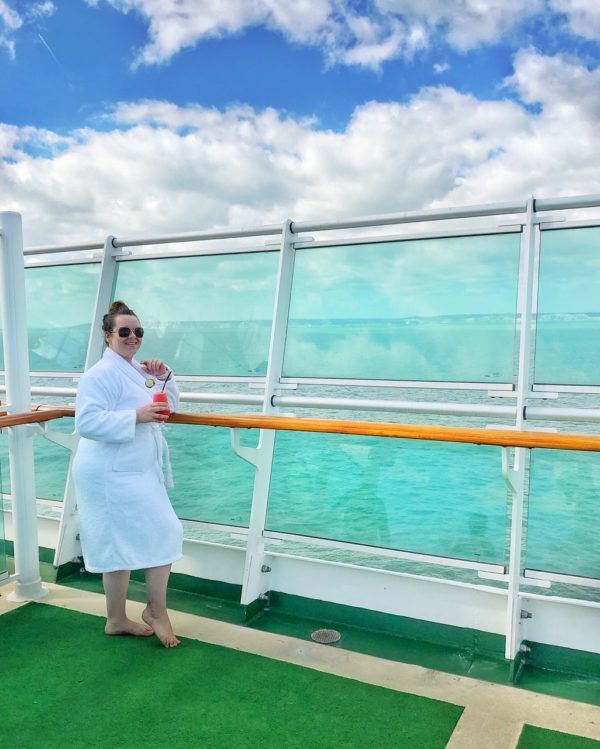 I would never have thought of a cruise for a girl’s weekend, yet we had the best time. There was no faffing about which bar to go to, we had multiple options all in the warmth and all close to each other, there was a spa on tap, and beautiful restaurants to eat in every evening – the cocktails were flowing, the wine was present and the food was delish. 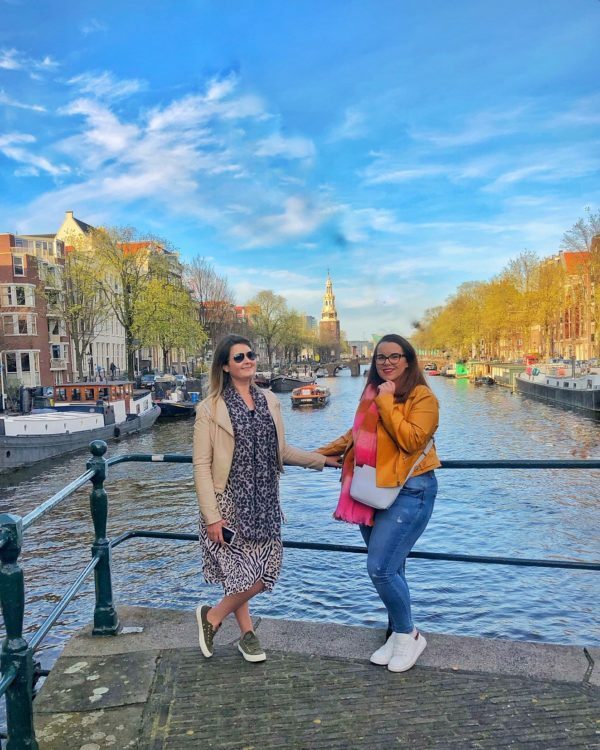 Shell and I spent the days relaxing or exploring Amsterdam on pre-booked excursions, and the nights enjoying some grown up company, safe in the knowledge that we wouldn’t have to get up early! 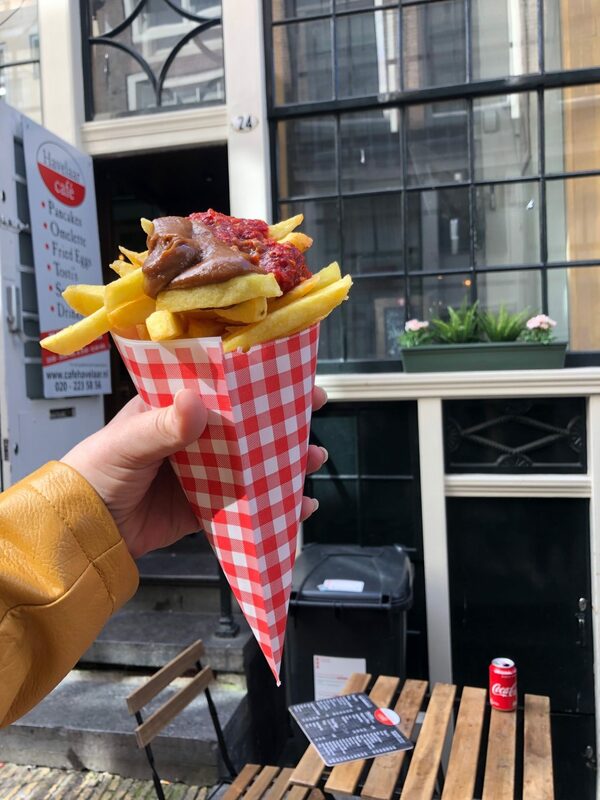 So what would I recommend for children if not Amsterdam? Well having cruised the Caribbean a few times I really think you can’t beat it – it’s warm enough for them to make good use of the pools on deck (the P&O Azura has 3 pools – two are for everyone, one just for adults – my only issue being that P&O cruises don’t have lifeguards around their pools. Whilst we would ((obvs)) supervise our children in the pool, I like that extra security) and the ports are all brilliant to explore. 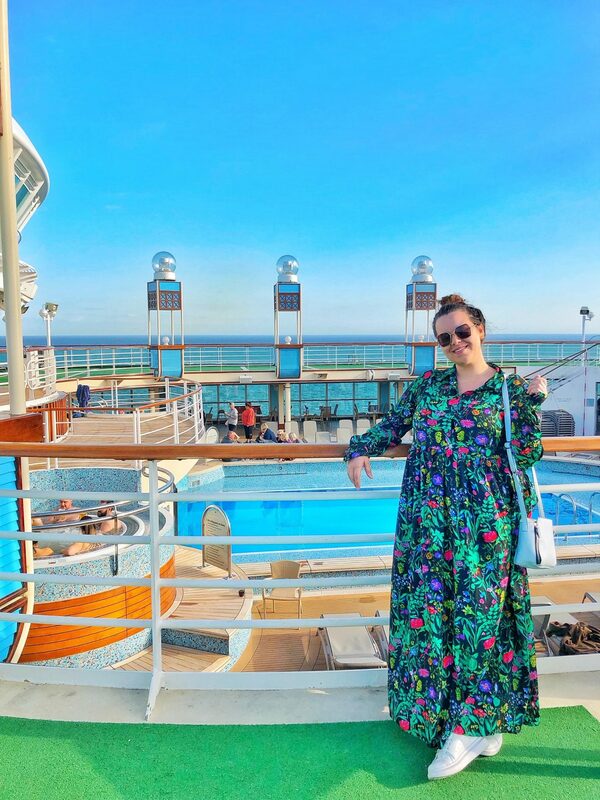 I would also really love to do a Mediterranean cruise with the children too, there are so many interesting stops and it wouldn’t require a transatlantic crossing or a flight which I think could be fun for a first cruise. P&O Cruises offer a HUGE range of cruises, all suited to different requirements, so it’s worth looking through their itineraries and seeing what you fancy before you go ahead with too much planning. On board the Azura there are SO many restaurants, we simply didn’t get chance to try them all! The ones that we did try were all so different though so I feel like I can share my thoughts on the food on board. Firstly the buffet, we had a really great experience with the buffet in Verona and Venizia restaurants. 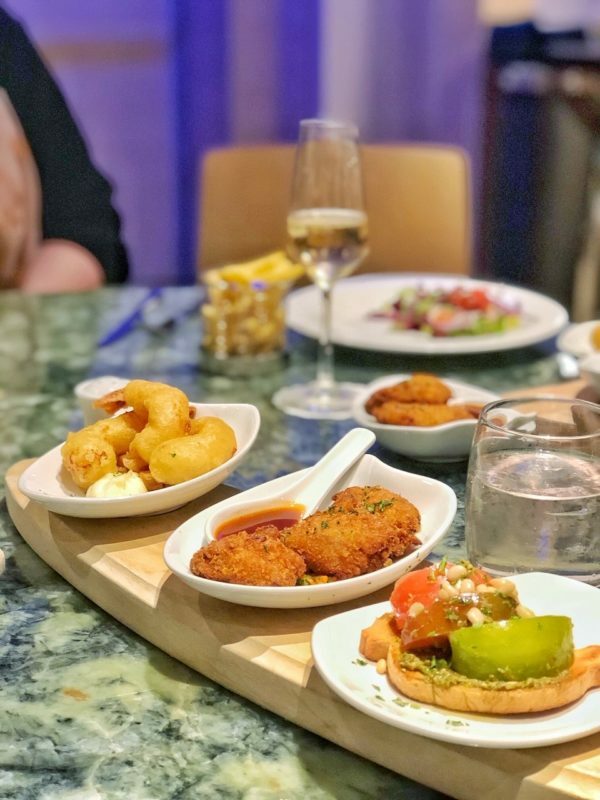 There is a great range of choices, although it does understandably get quite busy at peak times, the food is kept topped up for the most part and everything that Shell and I tried was delicious. There were plenty of options at breakfast, lunch and dinner for little ones, from cereals to simple homecooked style options in the evening. The boys would have been absolutely fine, Edith would have been Edith. The Peninsular restaurant was a bit of a different story, though not wholly disappointing. Unlike the on deck restaurants, the Peninsular is a table service restaurant with very similar food to the buffets. We both ordered from the larger plate selection, Shell a steak (which she said was delicious) and I ordered “smoked chicken with asparagus, gherkins and tarragon”. When I asked our waiter what the meal came with he was rather dismissive and he just informed me it was written on the menu. I ordered anyway and what arrived was a rather starter sized salad with a few sorry looking cubes of smoked chicken. It was very tasty but not what I expected and a simple “it’s like a salad” would have helped from the waiter. We also found that when we ordered a cheese platter each to finish, the waiter arrived and told us to pick which biscuits and which cheese we wanted, then disappeared after plonking a few biscuits and cheeses on our plates. All in all the peninsular didn’t rock my world but that could be because I was really spoiled by The Glass House and Sindhu restaurants. The Glass House and Sindhu are book additional extras – you pay a small fee (£20 for Sindhu and £6.50 for a tapas style plate in The Glass House). I loved them both and genuinely I can’t sing their praises enough, alas I don’t think that either of them would be suitable for small children. 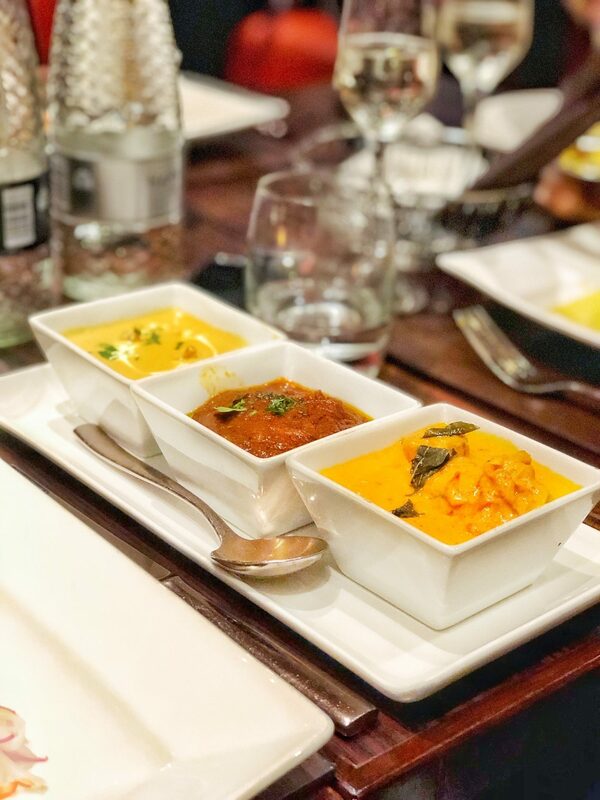 Sindhu is a “posh Indian” for lack of a better term, and in between your courses you are given additional meals, with your choice of main you are given several extras/sides like naan, dahl and okra. 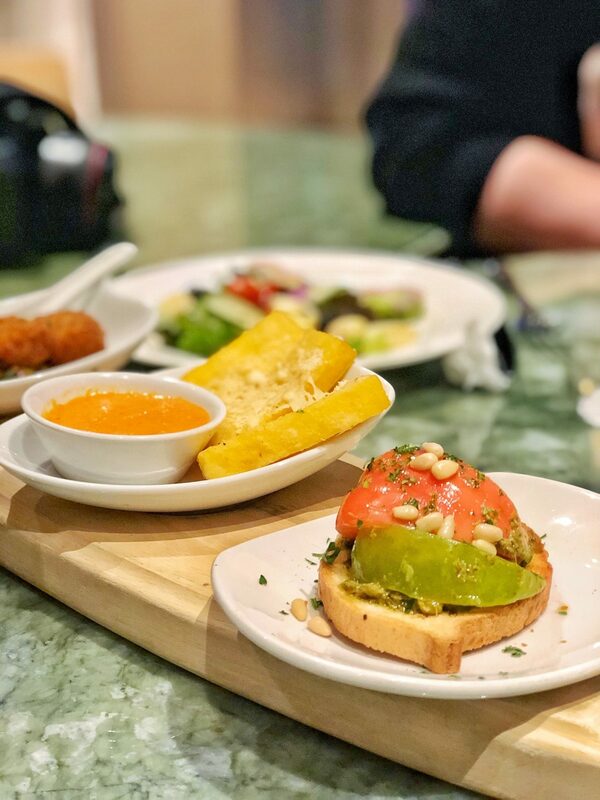 It was sublime – I really would eat there every night and if you are on board I would suggest giving it a go with the children in one of the many childcare facilities (I’ll come on to that in a minute). As for The Glass House – the food here was equally delicious to Sindhu, but totally different. 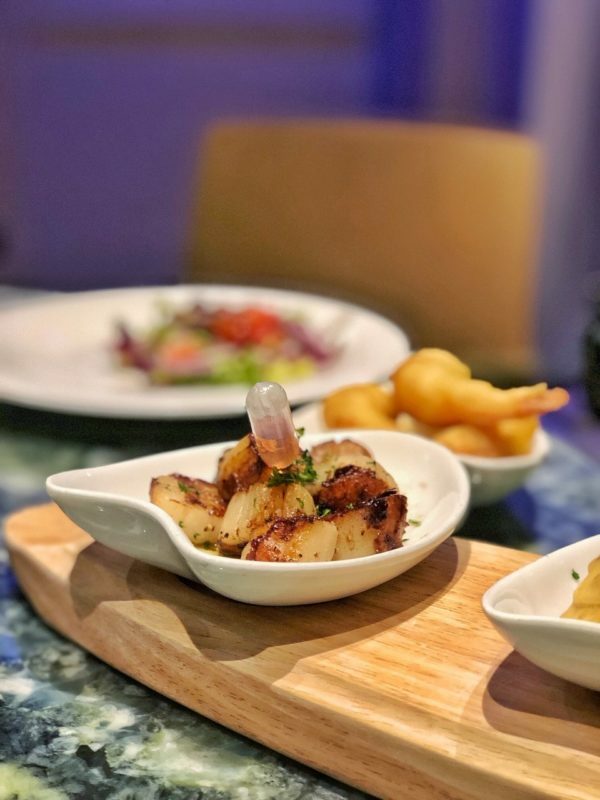 Delicious steaks, beautiful fish and wonderful tapas style meals. I really can’t tell you how impressed I was with their wine selections too. The bars I want to lump into this as a whole because I feel like they can all be summed up with one word: excellent. We mainly stayed in the cocktail bars (The Planet Bar up on deck 16 was my favourite) and Manhattan club, but there are bars to suit every need. If you want something a little bit more day to day and chilled, like a pleasant pub vibe, then they have that too, though it is attached to the casino, which I prefer to be completely separate and behind closed doors if there are children around. Each bar has different drinks menus – some specialise in wine, others gin and spirits. Mostly the cocktail menus are the same and I HIGHLY recommend you get yourself a Raspberry Crème Brulee! Deliisshhh! I touched on it before but the kid’s club and childcare is something that I want to talk about a bit more now. Obviously I didn’t have children on board, so I felt responsible for making my way around and chatting to as many parents as possible. The overwhelming response from the parents that I managed to catch up with was that the cruise kid’s club was the BEST that they had ever been to. The facilities open early morning and they run until 11/12pm with lots of parents telling me that they had to drag their kids away for dinner and a show as a family and then they wanted to go back! It was such a positive response that I honestly wished my children were there to have some fun too. From playing in the well equipped internal kid’s club sections, which were super secure, with no way for the children to get out or for anyone to pick your child up without a key card and a security password, to enjoying activities run by kid’s club in various locations around the ship. 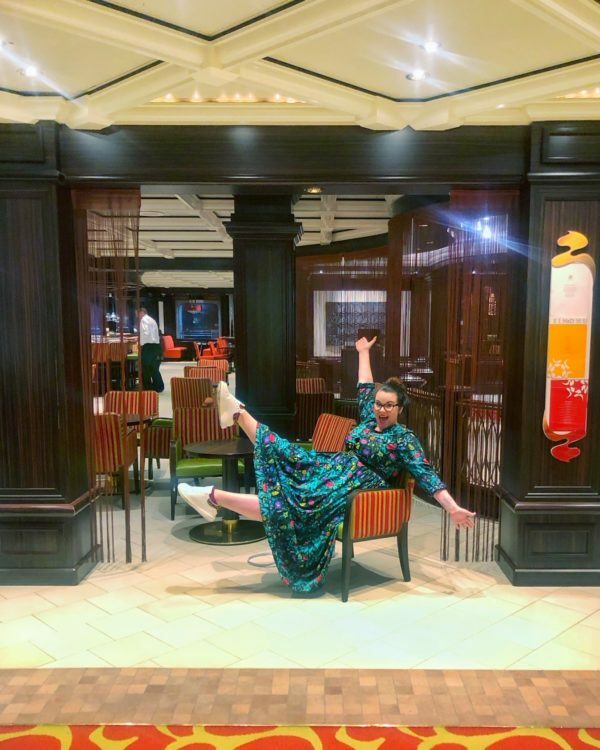 There was one lady that I spoke to and I promised I would share her comments with both the staff at P&O Cruises and via my blog. This mum to triplets shared with me that two of her boys were on the spectrum and had difficulty navigating kid’s clubs and new experiences with their disability. As a couple, mum and dad hadn’t really had much time away from the kids at all, they had one to one support at school and felt that during this cruise (they were staying on for another week after we left) it was going to be pretty full on with the boys in particular. Kid’s club wasn’t just understanding and accommodating but went out of their way to sit down with these parent’s learn routines and key words that might help make their children more comfortable and confident within the club, but they also noted down any procedures the parent’s would like them to take if their children became distressed. It was so heartwarming to hear the difference that kid’s club had made to these parents and I really think that P&O Cruises excel in this area. As for the facilities themselves, the children can enjoy watching movies, playing games, a fully equipped playroom and dedicated staff who run the activities. WiFi I found really disappointing. I paid £40 for the cruise (middle package, there was one for £20 and one for £60) which I didn’t think was too bad. I stay in a lot of Premier Inns and they don’t include more than basic wifi as standard, I figured I would be paying for a faster, more reliable wifi – in a lot of hotels this is around £10-15 per night so it was a fairly average charge for a 4 day wifi fee. Unfortunately I can’t recommend it – it hardly worked so I would be aware that if you are like me and have early risers who might want to watch youtube on their devices, don’t bother. That being said, I don’t think they will care! With 2 family pools to play in and the above – did you really want wifi anyway? I don’t have anything negative to report – honestly – everything was so positive about kid’s club and the childcare. Speaking of childcare, they have a night nursery available until 2am, 2am! For younger babies and toddlers, they can curl up and go to sleep in comfort and you just go pick them up! Lastly, safety. This is the main stumbling point for Adam, he is so worried about the children’s safety on board a ship. Let’s be honest, it’s something that most of us question – there is a big, wide ocean out there and that IS terrifying. It is. There are two things to note on P&O Cruises: one, the railings are not big enough for a child to accidentally fall through. Two they cannot be blown over or climb over the top decks – the sides have high barriers. In those lower decks where they don’t have barriers, a child would have to be unsupervised long enough to get outside via heavy doors, completely climb up and over – it just doesn’t happen. I’ve done extensive googling on this and I’m pleased to report that there are no reports of children accidentally falling overboard and most man overboard incidents (300ish in the last 12 years) are due to intoxication or deliberate. 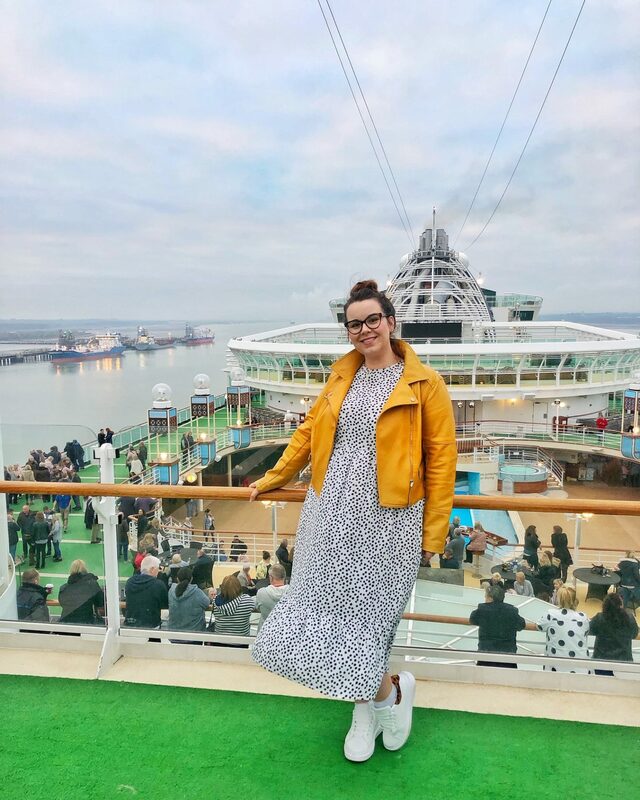 P&O Cruises have teamed up with local speciality tour group Urban Adventures to offer you a more authentic excursion and I LOVED it. Our excursions were a walking tour around Amsterdam ending in the FoodHallen and a cycling tour, followed by a bit of shopping, a stop off in Museum Foto – voted 2nd best attraction in Amsterdam by locals, a place you can have your photo taken as a piece of art from the museums you can visit – and a visit to the oldest distillery in Amsterdam. 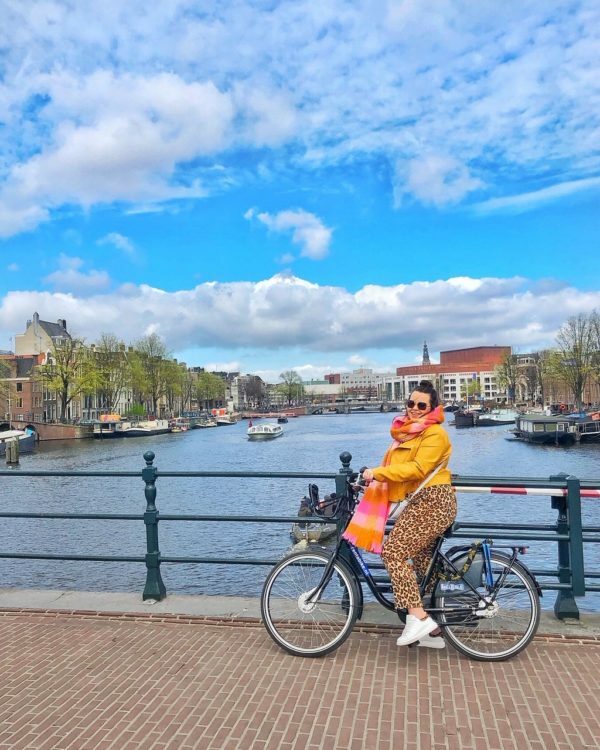 Whilst these weren’t especially child friendly, P&O Cruises do offer excursions that are very child friendly and they have such a vast range – as I mentioned at the beginning of the blog, I just don’t think that Amsterdam is the best city for kids. What I love the most about an excursion that is booked through a local company, is that the Urban Adventures finds locals and employs them, sets them up with a franchise so that they can employ other locals – this isn’t being shown around by a travel rep, this is authentic and real and it gives back to the community somewhat. I want to start off by saying that my massage in the spa was truly AMAZING. It was one of the nicest massages I’ve had in a long time, though admittedly it’s been a while and I don’t feel that it lasted as long as it should. The pool, hot tubs and sauna were also lovely and whilst I didn’t experience The Retreat, P&O Cruises paid for spa area, I spoke to other customers who didn’t feel that it was worth the £25 day fee in low season and a few who felt that it was brilliant in high season when the ship is busier. One thing I would like to note was that the spa staff operated a hard sell after your treatment and I am not really a fan of that – however I also had my nails done and there was no hard selling there, but I think the member of staff just wanted me to go away! Spa staff were definitely a let down in comparison to the rest of the staff on board, which is a shame because we had some lovely members of staff to chat to, from the members of the band to the waitresses in The Glass House. 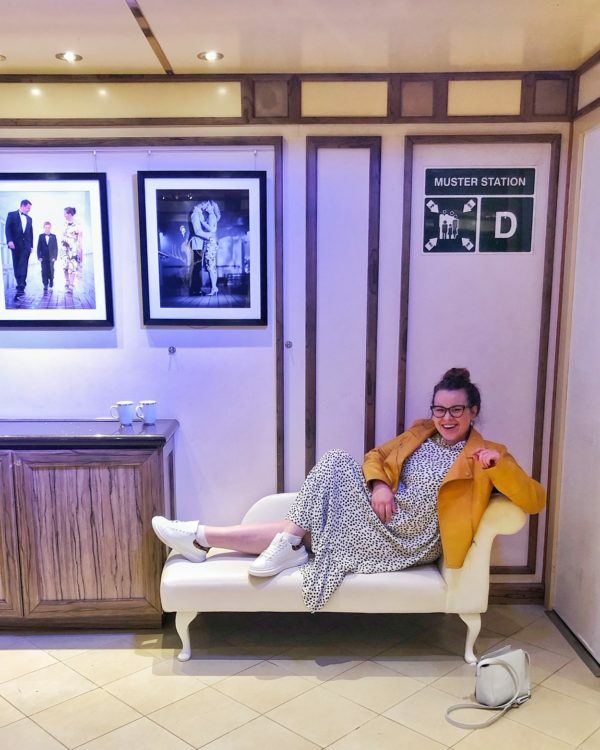 I LOVED the on board entertainment – if you want to dance the night away in a “request all” nightclub then you can, alternatively you can enjoy theatre and band performances. Each morning you will wake up to a Horizon Newsletter that tells you all about your day and what you can expect on board as far as entertainment goes. For seminars to special shopping experiences in the shops on deck 7 to evening movies under the stars (including new releases), there is something for everyone. In summary, would I recommend it? YES. Hell yes. I’m actually considering rebooking it for me and my husband, Shell and her husband, and I’ve already told Adam that cruising is the way forward next year when all of the work is done on our house.